Many of us are perhaps more familiar with Elvis Presley’s version of the song, but this is the original one by The Drifters, which features Clyde McPhatter on the lead vocal. 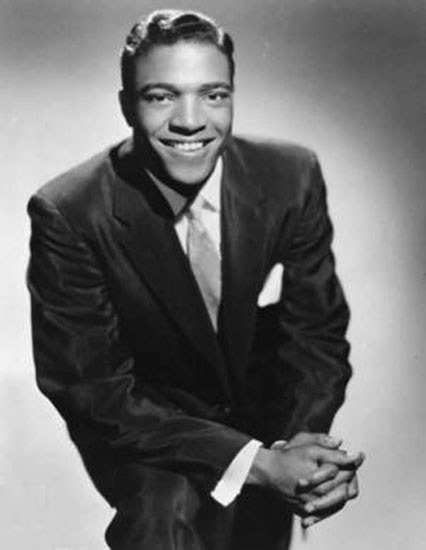 “Such a Night” was written by Lincoln Chase (“Jim Dandy,” “The Name Game,” “The Clapping Song”) and went to #2 on the American R&B chart in 1954 even though some radio stations banned it for being too suggestive. There have been numerous covers, including versions Johnnie Ray, which went to #1 on the U.K. Singles Chart in 1954 and #18 on the U.S. Cash Box chart. 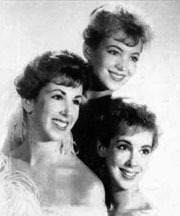 The Four Lovers, who later became The Four Seasons, had a version out in 1956. Here is the version by Elvis Presley. He released on his 1960 album Elvis is Back. The single version went to #16 on the U.S. Billboard Hot 100 and #13 on the U.K. chart. Please click here for the Daily Doo Wop YouTube channel, to which you can subscribe. Thank you for stopping by The Daily Doo Wop. 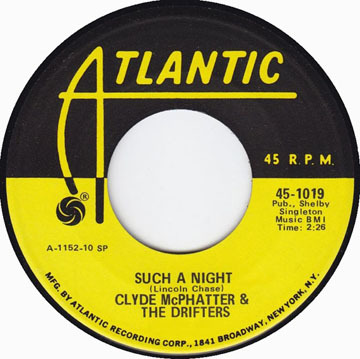 Hope you enjoyed “Such a Night” by Clyde Mcphatter and The Drifters.